It simply says, if the condition is met, then take the value given for value_if_true, but if the condition is not met, then take the value given for value_if_false. That's it. 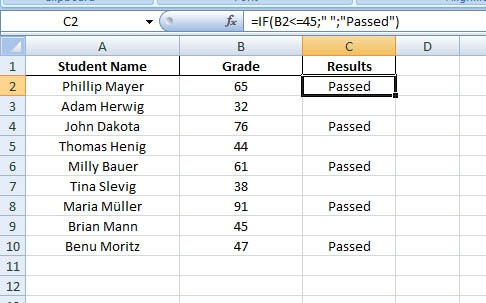 It says, if the student grade is equal to or less than 45, then put Failed in cell C2, otherwise put Passed. 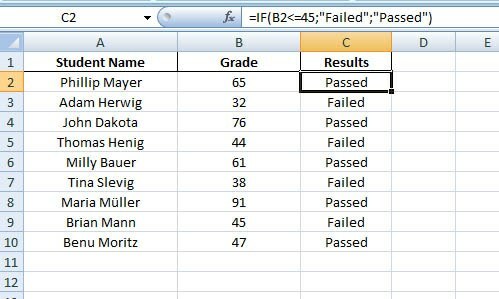 Now copy the formula down the Column C.
Copy it down the Column C.
To show the cells blank use double quotation marks ("") without space in-between.